Using 30ga fine silver to make fold formed pendants with forged wire embellishments has been my passion lately. The gently undulating lines can depict a calming or frenetic affect. The form demonstrates how the eye can be forced to move, across the piece in an effortless manner following the forged round wire. 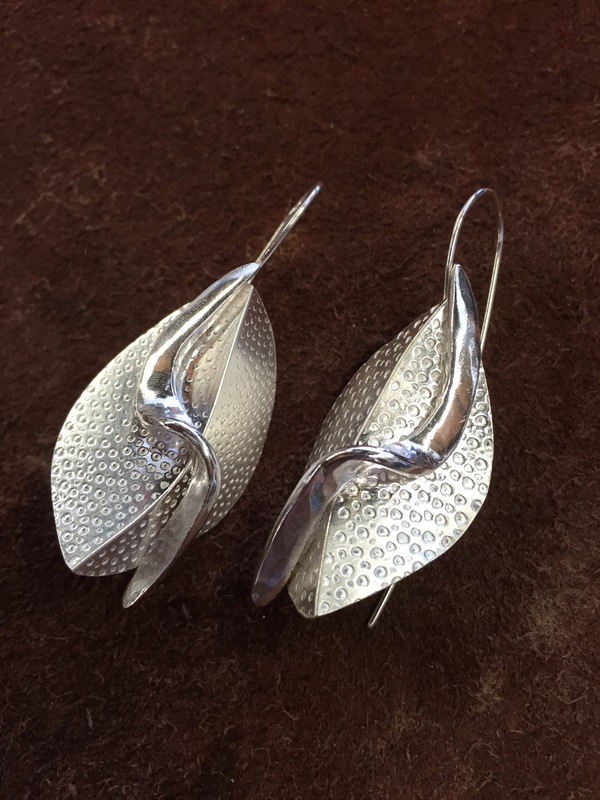 Including one or two curved forged wires that bisect the fine silver lines, I believe makes the design stronger. 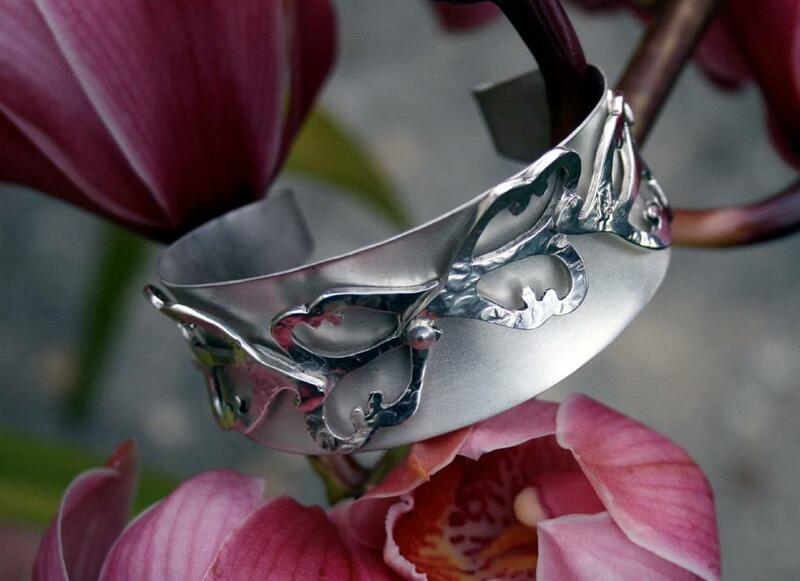 The 30 gauge fine silver, thin as it is, has great strength once it has been folded, crushed and reshaped. 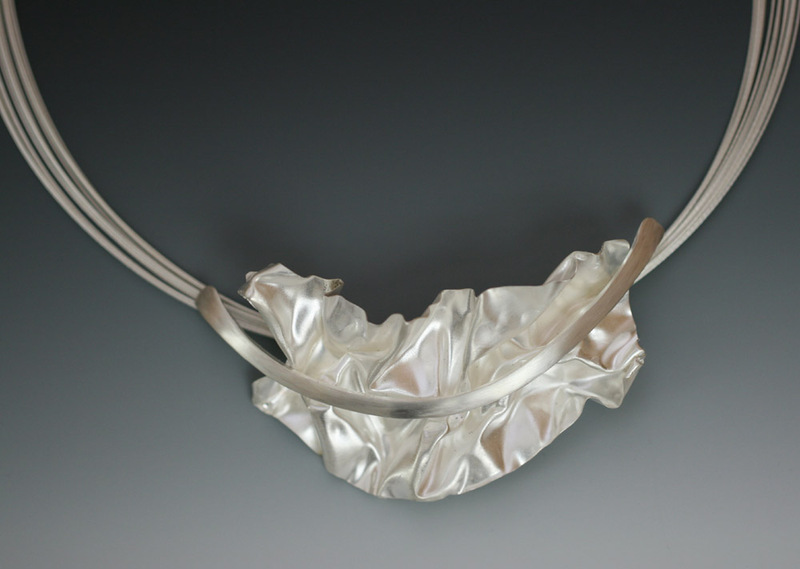 When creating the form I turn the piece over and over again in my hands, pushing and pulling the metal to create a form that is pleasing to my eye. Working with metal came to me late in life. In 2003, I retired from teaching elementary school of grades 4,5,6, and then I took my first metals class in 2004 from Kristin Beeler at our Long Beach Community College and I was hooked. My youngest son was dabbling in making Celtic silver jewelry which got me thinking about that discipline after I retired. 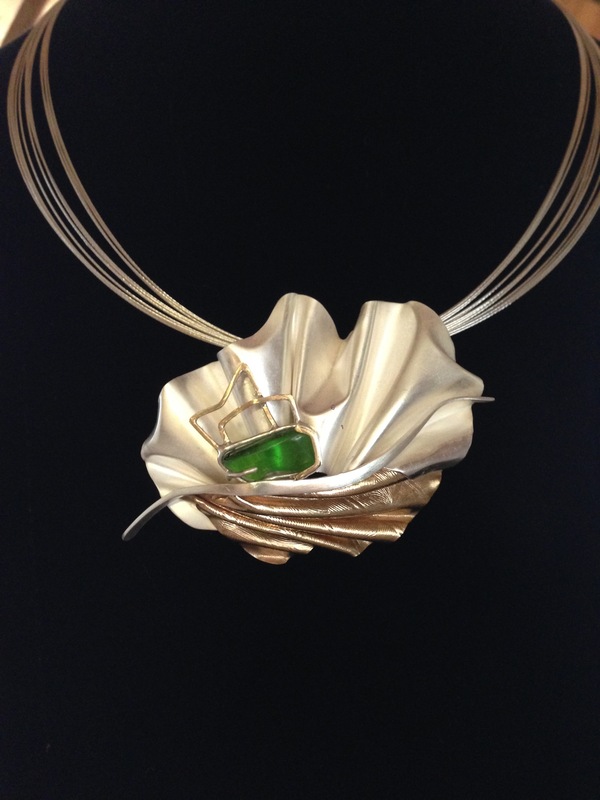 I have been the president of the Metal Arts Society of So. CA for the last 6 years and truly enjoy our metals community. I am native to southern California and live in the Los Angeles area. I have two sons and have been married to their dad since the 60”s. I was a teacher locally for 36 years. 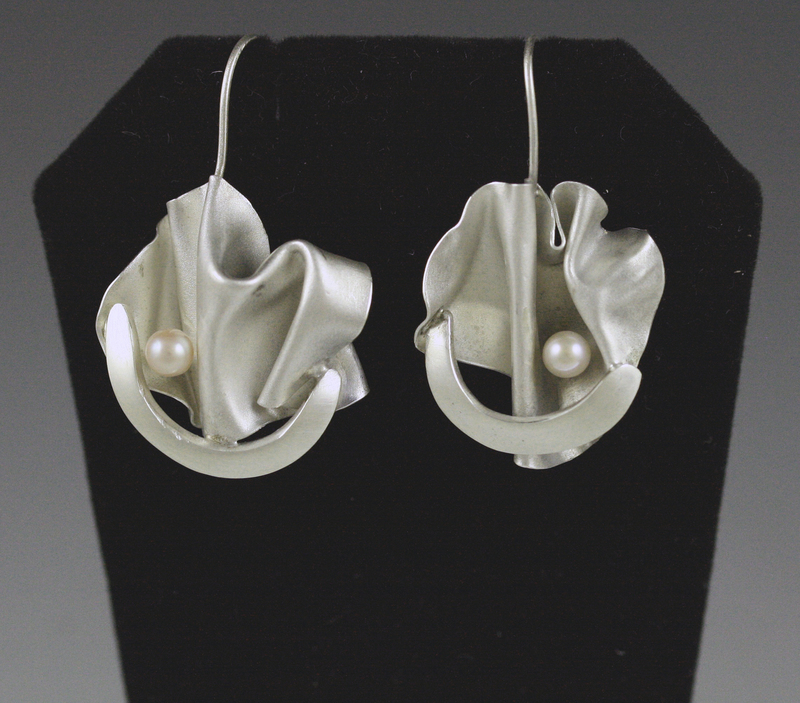 I love teaching and have taught sawing and pierce work and micro shell forming classes in my studio. I offer classes in my garage studio, bringing in artists from all over the United States. Contact me if you are interested in any of the classes at https://massconline.com/user/7/contact.